The list features nominees from the fields of academics, business, sport, entertainment as well community. The UK edition comes hot on the heels of the South African Edition set to be held on the 6thof April at The Hilton Hotel in Sandton Johannesburg. 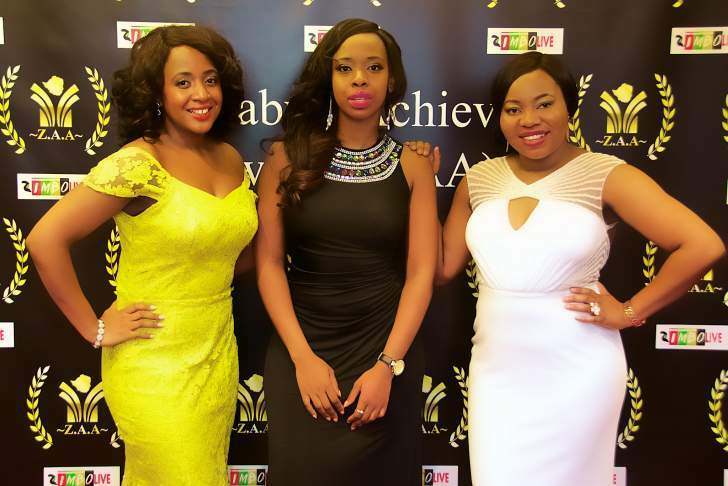 The ZAA UK edition is the flagship brand of the awards having been founded in 2010 by Conrad Mwanza and has in the past honoured various Zimbabweans in the UK for their efforts in flying the country's flag high and being inspirational figures within society. The 2019 nominees list will be followed by the voting period where the nominees on the list will be hoping to join an illustrious list of past ZAA which includes the likes of sportsman Don Armand, chef Gineas Mupfayi, Seriel Entrepreneur Fungai Ndemera, entrepreneur and social butterfly Summer Rose as well as community organisations like Qoki Zindlovukazi among other categories. This award recognizes eminent public, private and educational sector professionals who have demonstrated passion, leadership and commitment to the sector. issues and with a proven track record of operating a successful business enterprise. record of success in business. Nominee will have demonstrated business excellence and acumen with a proven track record of success in business. ZAA is honouring entrepreneurs whose boldness drives them to do things differently and change our world in the most unexpected ways. Awarded to the nominee that has shown an aptitude to their work and an ability to think outside the box and taking a leading role in providing solutions and innovative measures that better the community. ZAA honours someone who has worked tirelessly to engage, involve and consult the community; someone who has got to the grassroots of communities, made strides to understand their priorities and campaigned on issues that matter to them. The nominee has to show a traceable and proven track record of upholding and promoting an authentically Zimbabwean trait and culture with pride and dignity in the diaspora in a manner that shines a positive light on Zimbabwean culture, lifestyle and general way of life. This is award to the nominee who has made a breakthrough in their field that has led them to success and prominence with innovation that is clearly sustainable and carries great impact. An event that showed meticulous research, careful planning, tireless work, complex logistics and creativity and brought the community a flavour very close to home. Influential, inspiring and in the news. From all walks of life- politicians, actors, sports stars, artists and models. Others have a lower profile but still intrigue with their determination to make their mark. This category is won by the nominee with the highest count of votes, voted by the general public. Nominee will have shown enthusiasm and charisma in engaging the wider community through several channels. The Top 5 nominees are selected by picking the highest nominations.